The archives, libraries and museums of Cambridge are full of the most amazing treasures. But one kind of artefact is all too easily overlooked – the myriad of seals that are attached to historical documents. Seals come in all shapes and sizes and are artworks in miniature. The use of seals dates back to ancient Mesopotamia, however, the examples of seals present in most Cambridge collections are medieval European (and principally English) seals dating from the 11th century onwards. 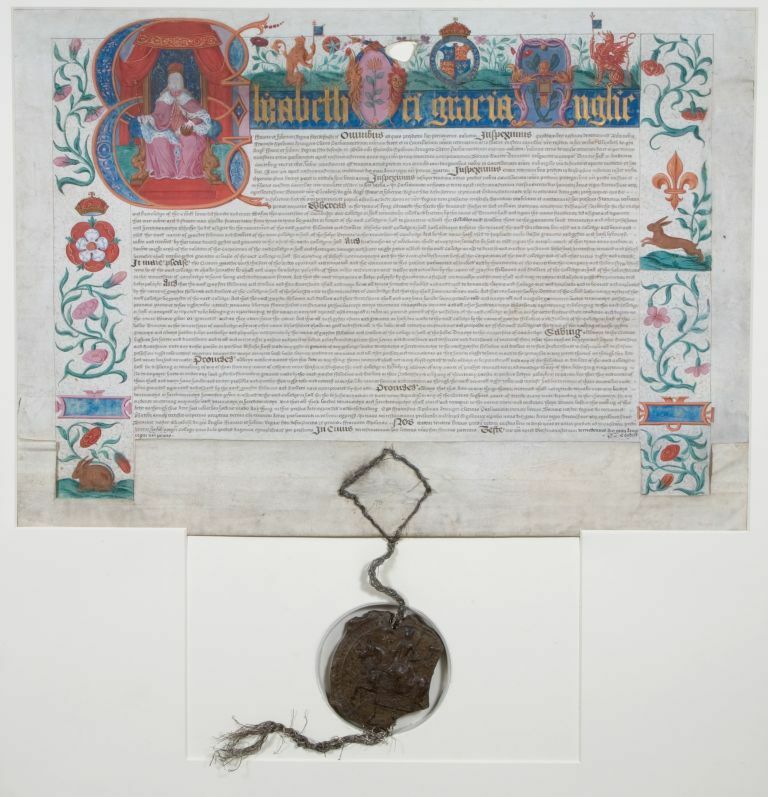 Medieval seals were attached to documents as proof of their authenticity and were used by royal government, cities, monastic houses, commercial enterprises and individuals much as a signature is today. Seals were created by using a metal matrix which was impressed on a green or red wax made of beeswax and resin. From the 16th century onwards the use of shellac became common practice. 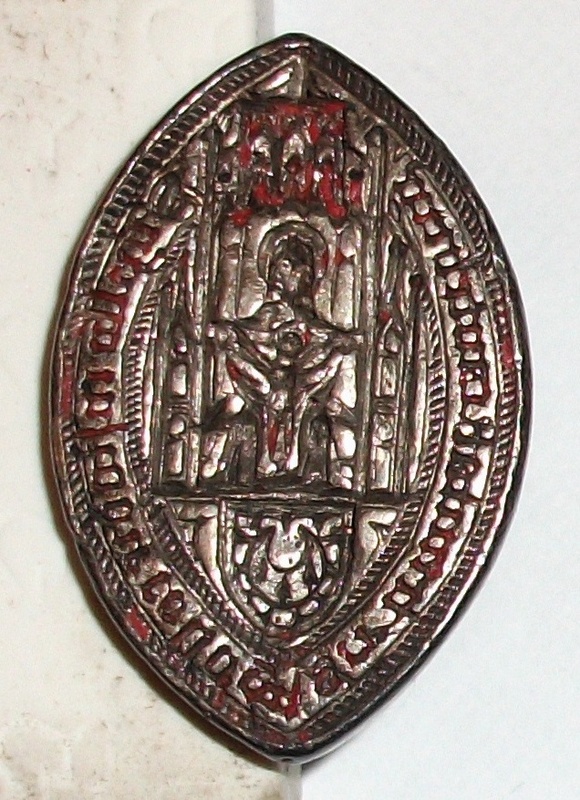 There is a huge range of artistic sophistication, style and size in medieval and early modern seals: from generic designs bought ready made, through bespoke designs, to the intricate magnificence of the Great Seal. Seals also provide us with important historical information, in addition to the written content of the documents to which they are attached. According to the Encyclopaedia Britannica, “The growth in government in England can be traced by its use of seals. The Great Seal …, first used in in the 11th century, was augmented by smaller seals, and finally the Privy Seal, the keeper of which was a minister of state. As the power of the seal grew the king sometimes found it necessary to adopt a private sometimes secret, seal for his correspondence”. There is much to discover through the study of seals, however, they can be difficult to interpret! 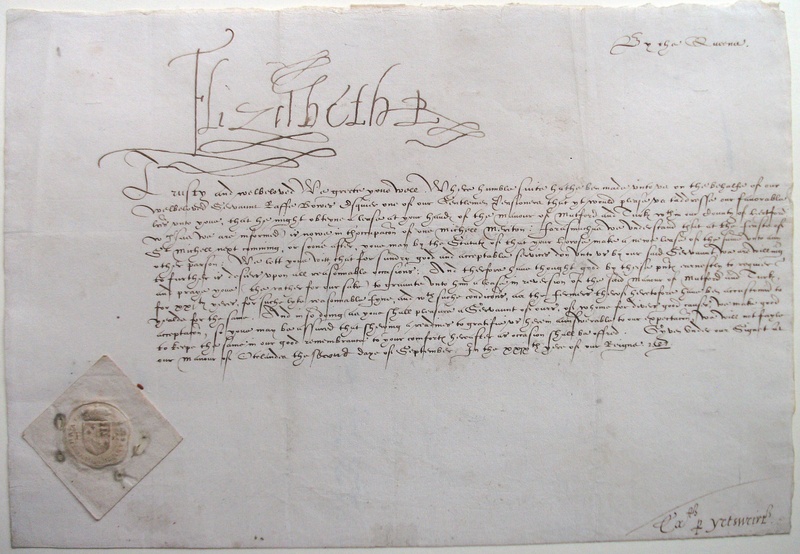 Do you have seals on documents in your care, have you come across seals during your historical research and wondered how to interpret them or do you simply have an interest in medieval history? Anyone with an interest in local history and in the wide variety of seals attached to medieval documents will be fascinated by a forthcoming public talk “Making an Impression: seals as a resource for historical research” at Trinity Hall Cambridge on Saturday 8 June at 11am. 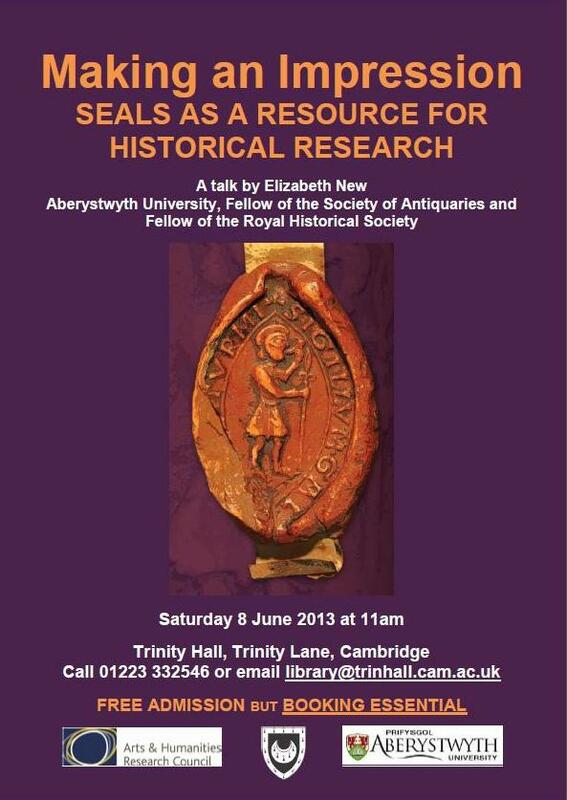 The speaker, Dr Elizabeth New of Aberystwyth University, is a medieval historian and an expert on British seals. She is Senior Researcher on the Arts and Humanities Research Council Exploring Medieval Seals project and author of Seals and sealing practices (London, British Records Association, 2010). The New Encyclopaedia Britannica (15th Ed.) Chicago, Encyclopedia Britannica, 1974. Seals and sealing practices / by Elizabeth New. London, British Records Association, 2010.